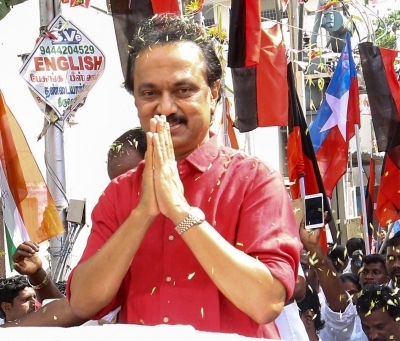 Chennai, Feb 14 (IANS) DMK President M.K. Stalin on Thursday said the Modi government was converting Governors as BJP General Secretaries and extended his support to Puducherry Chief Minister V. Narayanasamy who is protesting outside Lt Governor Kiran Bedi's residence. In a tweet, Stalin said: "Lt Governor being the reason for the abnormal political situation in Puducherry is unconstitutional. "This is an example of the BJP government converting Governors as their party General Secretaries. Once again, the question about the need for the Governor post arises." The protest by Narayanasamy and his five ministers outside Bedi's official residence entered a second day on Thursday.